These fish can only be found in a remote mountainous area of Myanmar. 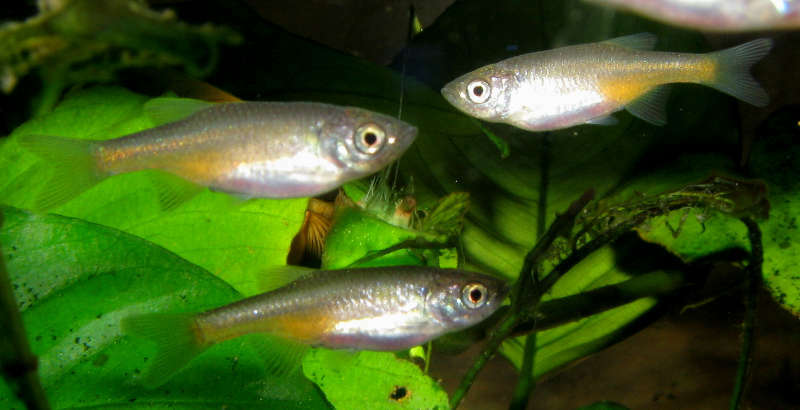 According to fish exporter Kamphol Udomritthiruj, they are collected from the same high altitude wetland pools as that of the Celestial Pearl Danio, Danio margaritatus. Currently, they are only know to exist in an area east of the village of Hopong, in the southern Shan States of Myanmar, but it is hoped, that further exploration will discover that they can be found in other areas near by. First exported in early 2007, these fish are one of the newer Danionins found in the hobby. I was lucky enough to get mine from Mike Drawdy of Imperial Tropicals at the 2009 ACA Convention in Cincinnati Ohio. 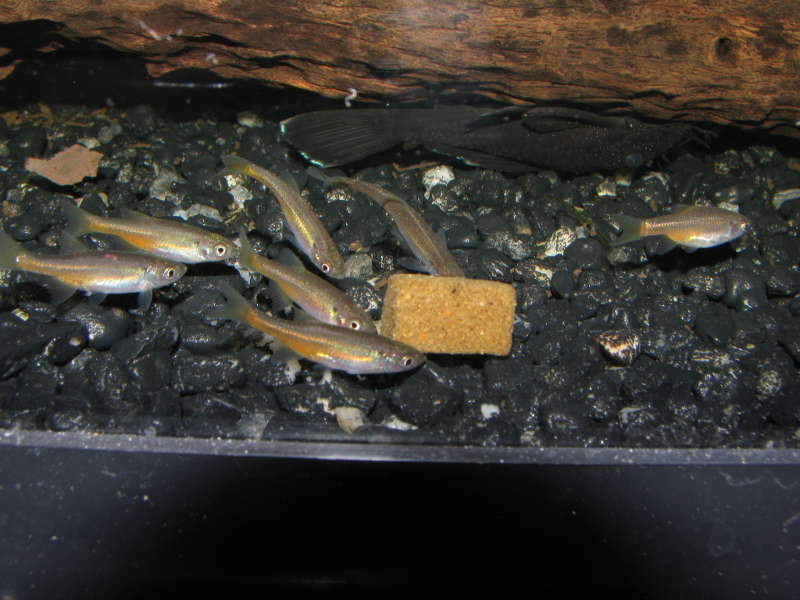 They are an ideal aquarium fish requiring only a few basic requirements. They prefer cooler water temperatures in the 68°F to 75°F degree range. Their native waters are slightly on the alkaline side of neutral, but they will do well in water with the pH ranging from 6.8 to 7.8. While they do like a bit of water movement, keep in mind that they come from shallow still water pools, and not waters with a rapid current. I find that just a small sponge filter will provide adequate water movement in their tank. As with most Danionins, they are not at all picky about food. In the photo above, they are attacking some of Dr. Tanner’s FRUUT-LUUPS. This is a new fruit- and insect-based diet that is prepared in a gel form. Devario sondhii is quite prolific and relatively easy to spawn. I generally prefer to set-up my breeders using the tried and true method for egglayers, a simply plastic canvas breeder basket. For best results, you can separate the males and females while conditioning them for about a week with high quality prepared along with live or frozen foods. 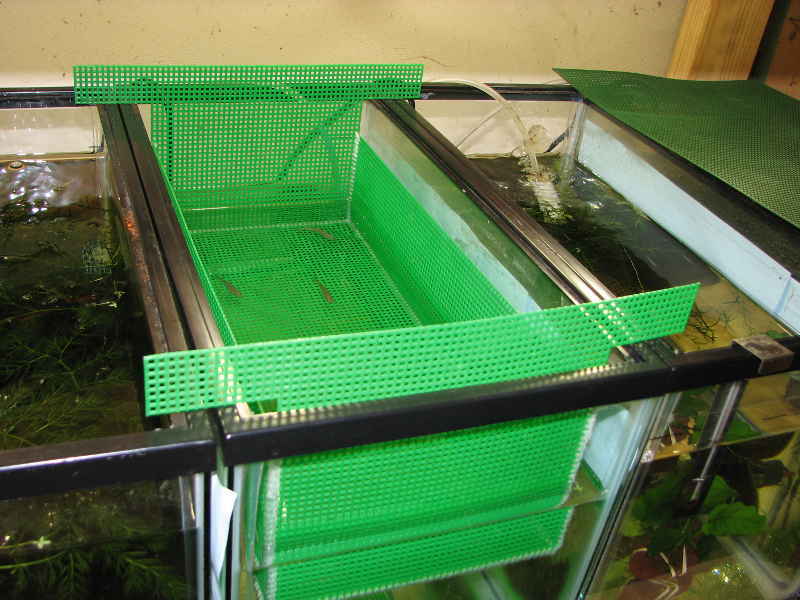 I normally place my breeders into the spawnign basket in the evening, just before lights out in the fish room. With a bit of luck, the fish will spawn around first light the next morning. The fry grow very quickly with lots of large water changes and plenty of high quality foods. At around 8 weeks old, they will begin to display their dark cleithral spot located posterior to the gill opening. This spot is useful in distinguishing them from Microrasbora cf. rubescens as the Microrasbora does NOT have the spot. 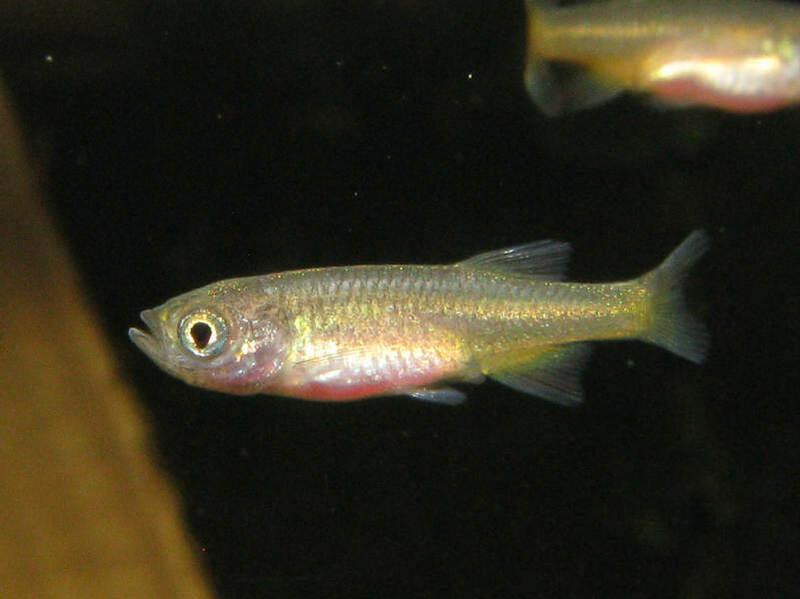 By 12 weeks of age, the fry will have become young adults that are sexually mature and capable of spawning. As adults, they will top out at 2″ or a touch more. The females become much more full-bodied than the males and somewhat less colorful. 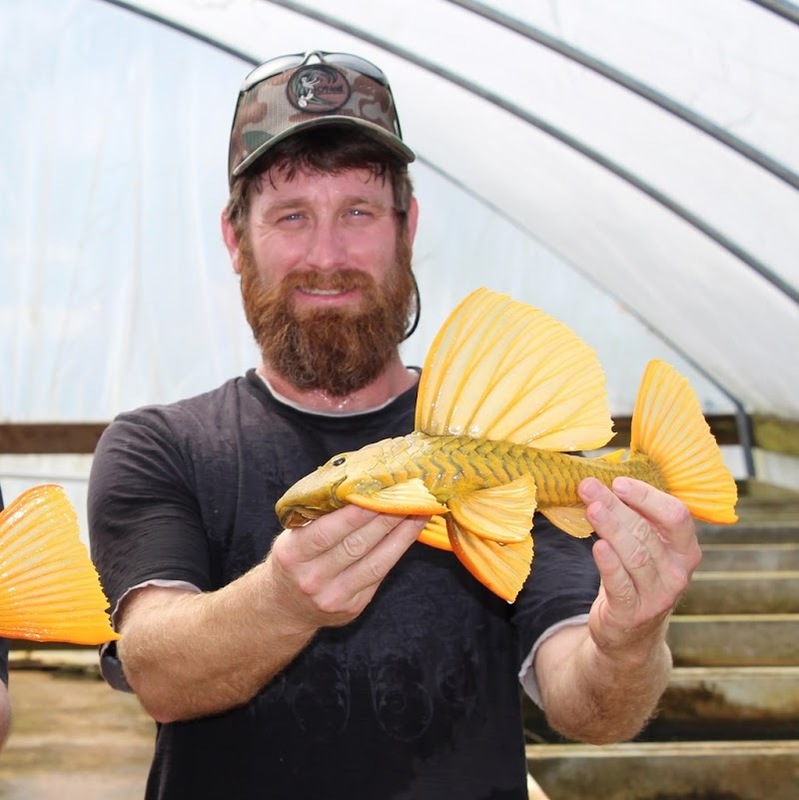 With their orange – yellow markings, they are particularly attractive in a well planted aquarium. Let’s hope that they become more readily available in the aquarium trade.